The holders shown here all fit the iPad 2, 3 or 4. S/BIPD. 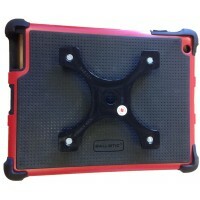 Low Stock: This version of the iPad 2, 3 and 4 holder has limited availability due to dis..
T/BIPD. Low Stock: This version of the iPad 2, 3 and 4 holder has limited availability due to dis..
GSTIPD: This holder for the iPad 2, 3 or 4 enables secure connection to a DaeSSy Quick Release Ba..